​Out-of-contract defender Ashley Cole is close to agreeing a six-month deal with Derby County in move that would see the full-back reunited with Frank Lampard. 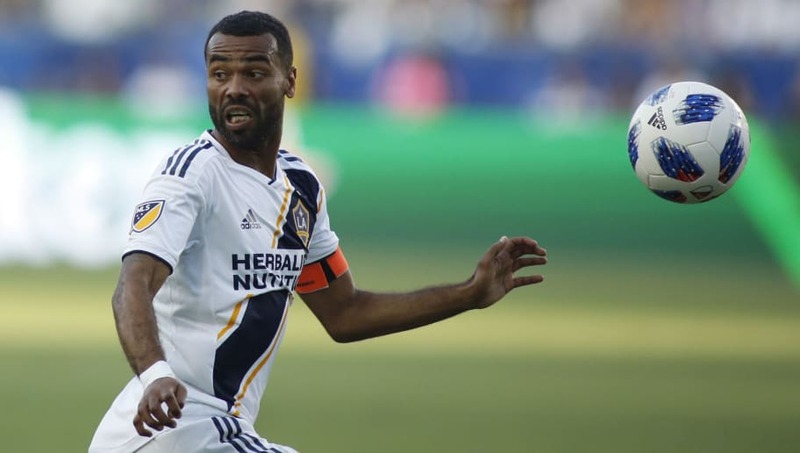 Cole, 38, is currently a free agent after leaving MLS side LA Galaxy in November, although is now expected to return to England after over four years away and sign a short-term deal with the Rams. As reported by ​The Telegraph, the former England international, who has 107 caps for his country, will complete a medical for the move over the next 48 hours, with the experienced defender set to earn £15,000-a-week during his six month stint at Pride Park. ​Derby manager Frank Lampard, who was a teammate of Cole at Stamford Bridge for eight years between 2006-2014, has already talked about the proposed move, believing he can add 'quality and experience' to his his young side as they push to finish in the ​Championship's top six. Lampard said: "He would bring quality and experience. I speak to Ash all the time. He’s a great lad and I know he’s fit, fresh and wanting to continue to play. "I know the influence he would have but it has to be right for all parties. In my opinion, he’s the greatest left-back of a generation. "Of course, his age is an obvious thing but it’s not a problem for me. I think it’s pretty clear that we’re interested in Ashley – but nothing is done yet." The pair were key to the success ​Chelsea enjoyed over the course of their eight seasons together, winning the Premier League, Champions League, Europa League, League Cup and four FA Cups during their time together in west London when they were both players. Derby are currently sixth in the Championship ahead of their game against Reading, as they look to keep in touch with the sides at the top of the table.